My main research focus is figuring out what makes a cancer cell a cancer cell. Everyone has been touched by cancer in some way. Growing up, I saw several family members and family friends battle cancer. Everyone knows that cancer is bad, and that chemotherapy is toxic. But it isn't until you see someone you love go through this that you realise just how horrible it is. I have focused my research efforts on developing new drugs for cancer that are not only effective, but that have fewer side effects than our existing treatments. My ultimate goal is to improve treatments for cancer patients (either by developing new treatments that are less toxic or by identifying factors that better predict patient response). I would love to see a world where cancer becomes a manageable/treatable disease. Dr Kathryn Skelding's research focuses on examining signal transduction pathways and the role of targeting in regulating cancer cell proliferation, metastasis and chemotherapy resistance, so that new targets for controlling these cellular functions can be identified. Using a variety of molecular, biochemical and cellular techniques, she has identified new pathways involved in these processes. Additionally, Dr Skelding has developed novel inhibitors that can target these pathways. She is currently examining the efficacy of these new drugs in a range of cancer types, including leukaemia, breast and prostate cancer. She is also investigating novel biomarkers for breast and prostate cancer. Dr Skelding has published numerous peer-reviewed articles in the field and has presented at numerous conferences. 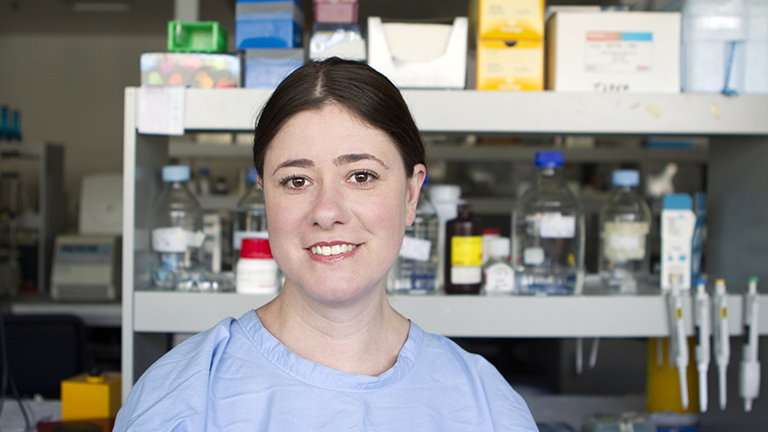 She has been awarded several awards throughout her research career, including Newcastle Innovation's Excellence in Innovation Award (2015), Excellence in Translational Research Award (2014), the International Society for Neurochemistry Travel Award (2011), Best Early Career Researcher Speaker at the Hunter Medical Research Institute Cancer Research Program Symposium (2010), Best Speaker at the University of Newcastle Graduate Student’s Day (2006), University Medal in Biomedical Science (2003), the University of Newcastle Vice Chancellor’s Award for Academic Excellence (2000), and numerous undergraduate and post-graduate training scholarships. Due to work completed throughout her PhD, the Hon Roslyn Kelly (Chair of the National Breast Cancer Foundation Board of Trustees) nominated Dr Skelding for a Fresh Science Award in 2006, for which she was short-listed. My future focus is to improve the lives of those living with cancer through developing new treatments that are effective and less toxic than existing therapies.